Ardamax Keylogger is a Keylogger software developed by Ardamax Software. The software enables capturing of user activity and keeping any documentations and log files into an encrypted space for admin use only. Ardamax Keylogger documents everything that every user have done on computers in school, office or any networked environment. While spy software are viewed as breach of privacy and something admins would not like to experienced for themselves, it is intended for the security of everybody. The admin meanwhile can view their log file into text or web page format. It allows them to discover every activity on computers immediately, as well as save a copy of the data typed in the software. Parents can use this software to monitor their children’s activities. Computer class teachers can see their if their students are logged in to another website. Employers can discover other apps and pages that their employees are currently accessing. This software maintains a very low profile via Hidden mode so that users won’t if they are being observed by the admin. It will keep away any prying eyes and inquisitive users. They will never know that everything they have pressed on the keyboard, spoken on the microphone and even taken on the camera are being observed. Users can’t see Ardamax Key active and present in Application Menu, Start Menu, System Tray, Task Manager, Windows Startup and even Uninstall list. The software comes with remote functionality to keep admins very alert wherever they are. Admins don’t have to be directly accessing the computer they are observing closely. It has a pre-configured package that allows remote installation to any computers. The remote functionality of the software does an automated observation to users and it will send everything logged over the course of time. Its 24/7 mode helps admins secure the computers as the software prompts them constantly. The software also sends the log file to admin’s email address, network and FTP server. Admins can also track the keystrokes that their users have pressed with the software’s Keystroke Monitoring. Every keystroke are saved in the log file for later viewing and reviewing everything transpired. This feature can be used for monitoring and capturing chats. Admins can reveal what their users have been chatting in poplar applications, as well as exotic and custom messenger software. The photos are sent to the admin’s encrypted storage space. Only the admins can read the log file thanks to the software’s advanced algorithms and password settings. It prevents tampering of the software and altercation of the log file. This software also offers screenshots capturing. Admins can assign set periodicity of taking screenshots, as well as taking pictures through the computer’s built-in or external camera. Utilizing the computer’s camera allows close monitoring of user’s identity and behavior at any point of time. 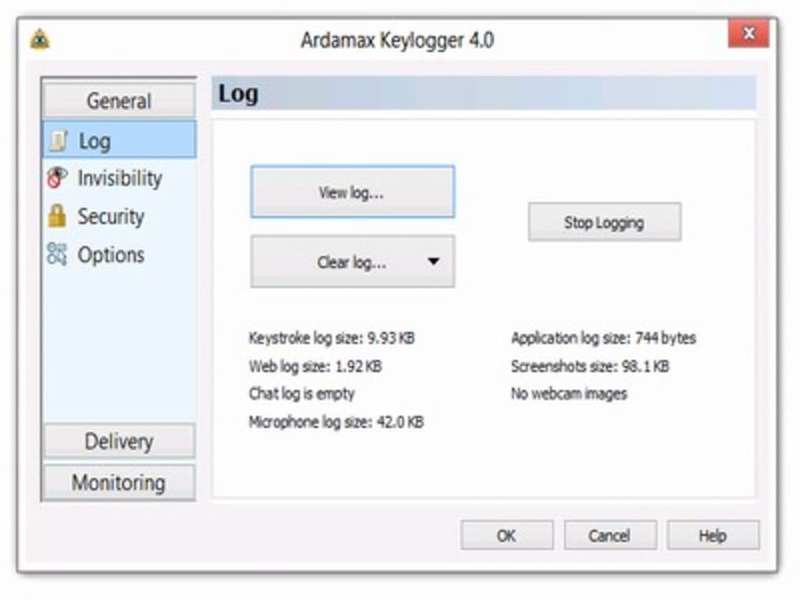 Ardamax Keylogger is also capable of recording anything spoken on the computer’s built-in or external microphone.It is usable even for private vice chats and calls. Ardamax Keylogger combines everything essential for monitoring computers. Admins can gain visual, audio and text surveillance so that they can acquire proofs that an anomaly in the users’ session occurred. What do you think about Ardamax Keylogger? Do you recommend it? Why?